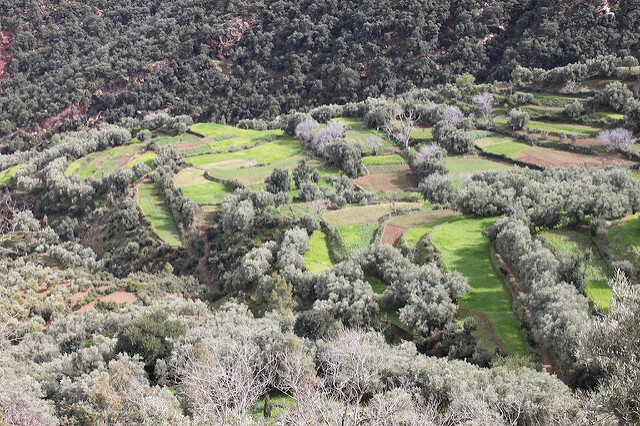 This project scaled-up a supplemental irrigation package, originally developed under the Water Benchmark Project led by the International Center for Agricultural Research in the Dry Areas (ICARDA) and national partners in Morocco and Tunisia. The package combined supplemental irrigation with appropriate agronomic management practices, such as sowing times and fertilizer recommendations. The project improved water resource management and land productivity at the farm level and subsequently increased farmers’ incomes. The project also highlighted that the SI package is most beneficial when rainfall is above 350-400 mm per year. Read/download the fact sheet by FAO and ICARDA | Water Scarcity Initiative.